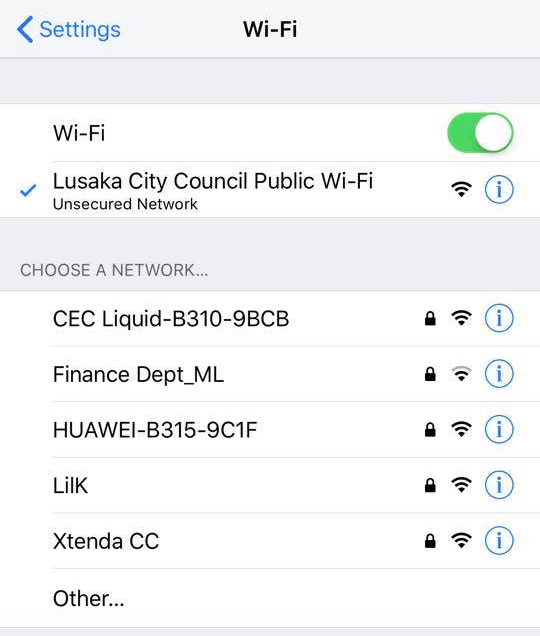 Miles Sampa, His Worship the Mayor of Lusaka, has launched the trials of Free Wi-Fi system in Lusaka City. The Government through the Ministry of Local Government and Housing and the Lusaka City Council (LCC) has partnered with Edgy Nicollo M2TD Consortium, a South African company to supply free Wi-Fi services in Zambia under phase-one. Other stakeholders in the project include, Zambia Information and Communication Technology (ZICTA) and the Zambia Telecommunications Company (ZAMTEL). The free Wi-Fi project was initiated by Zambian High Commissioner to South Africa, Emmanuel Mwamba in April, 2017 when he led a delegation of eight members from Edgy Nicollo Group.